The following comments about attractions in Marseille have been posted from individuals. We believe that the best reviews of Marseille, France are written by travellers and holiday makers who have experienced Marseille first hand and want to share their thoughts. Can you share yours? Please help us expand this section of our Marseille World Guide. 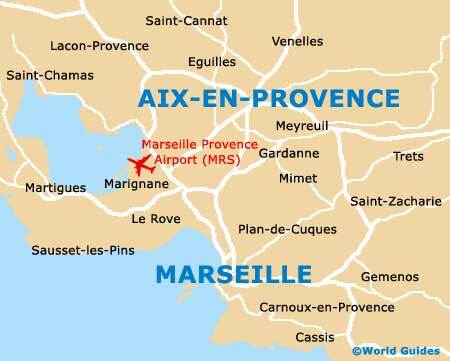 Let us know what you think about the attractions in Marseille, France. Submit comments about Marseille attractions here. If you are anywhere near the Boulevard Longchamp then you should check out this massive palace. It was built for the Duke of Orleans in the 1840s and took around 20 years to complete. The Natural History Museum and also the Fine Art Museum are both housed here. I loved the HUGE staircase fountain in the gardens. Very classical. This is one building that you are likely to keep seeing time and time again. The Notre Dame Basilica is over 160 metres high and so it is quite an obvious landmark in Marseille and hard to miss. You are able to climb a steep staircase to the top for some fabulous views - quite tiring though, trust me! The Vieux Port is the 'Old Port' and very much the hub of Marseille. Lots of fishing boats are based here and some nice seafood restaurants as well. Theere is also a morning fish market on the Quai des Belges. The harbours of Marseille are a good place to see the city from a distance - nice views of the Notre Dame de la Garde. And being a waterfront, there is always a good vibe and people milling around. Please note that these Marseille, France comments and reviews are posted by individuals and are not necessarily the views of World Guides.